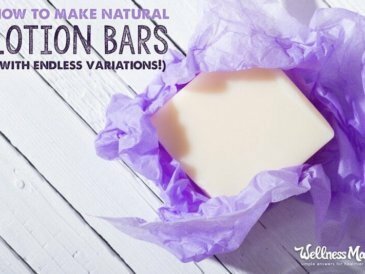 Ever since I made my first basic lotion bars, I’ve been experimenting with fun variations and natural scents. 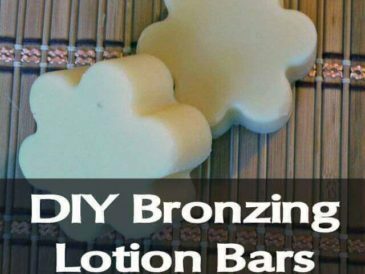 Lotion bars are wonderful because they are used on dry skin and are a concentrated lotion that leaves skin feeling like silk. 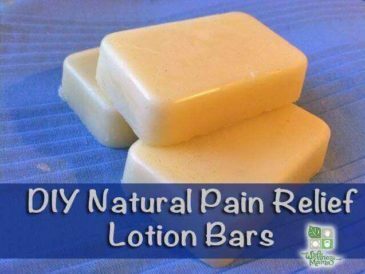 Along the way, there have been Pain Relief Lotion Bars and End the Eczema Lotion Bars. 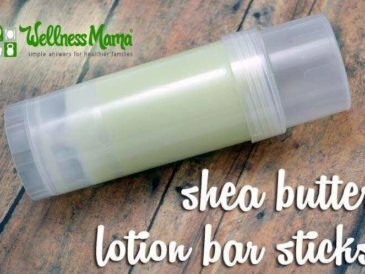 I’ve made lotion bars to keep the bugs away and homemade deodorant bars. At first, I just made these in silicon molds (and I still love making them this way) but once I discovered that I could make them in empty deodorant containers and that this would make application easier, I’ve been making them as gifts. 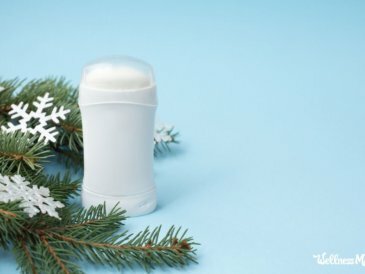 I used these empty white deodorant tubes to make these lotion bars in but there are more decorative ones available if you are planning to give them as gifts. If I give them as gifts in these tubes, I usually glue a piece of burlap around them and tie with twine for a natural look. 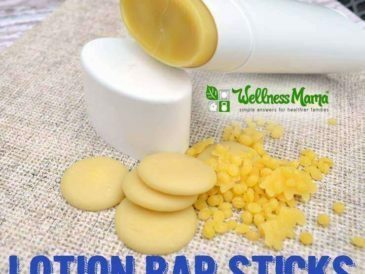 Melt shea butter, coconut oil and beeswax in a double boiler until completely melted. Add Argan Oil (if using) and essential oils (if using). 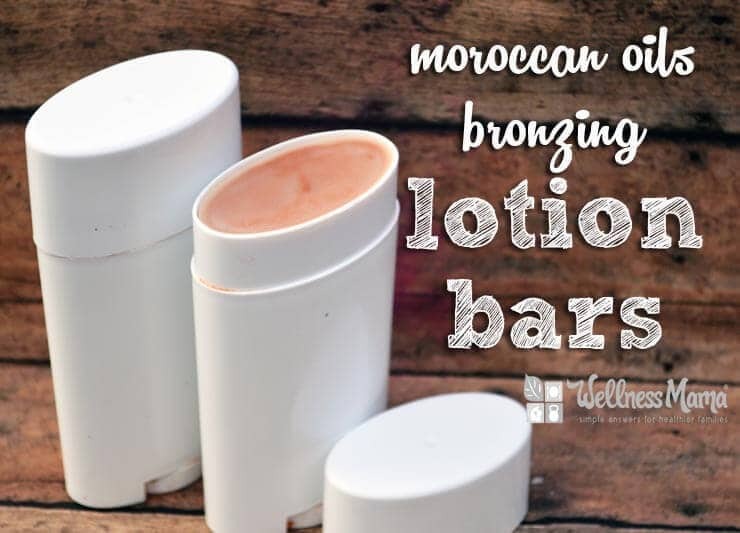 Quickly pour into empty deodorant containers or molds. Makes enough to fill five empty deodorant containers. What are your favorite essential oils to use?